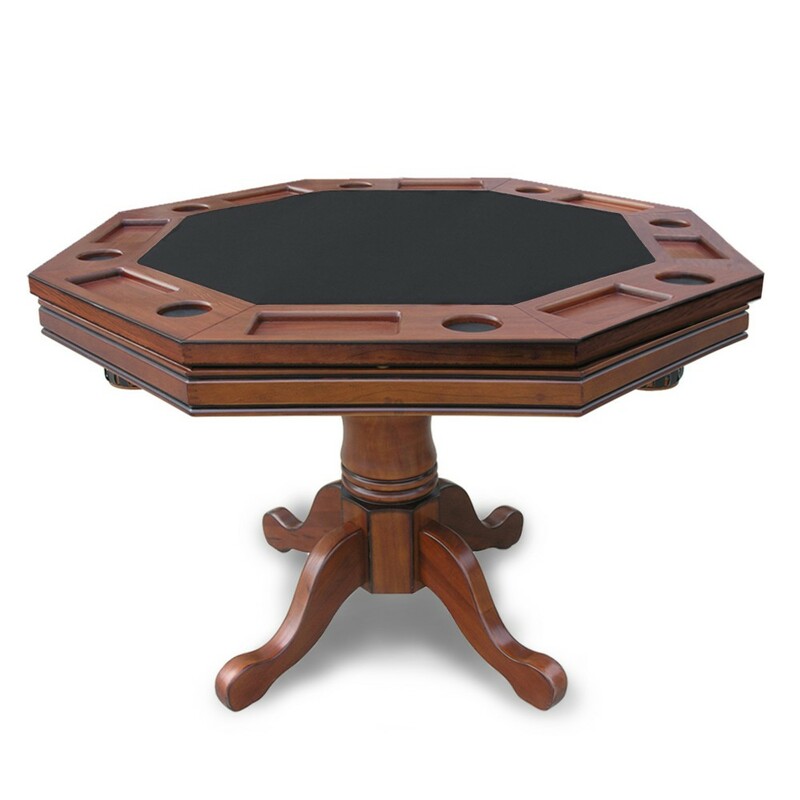 This beautiful Hathaway North American hardwood 3-in-1 pedestal table and arm chair set in a Walnut finish instantly enhances the look of your game room. 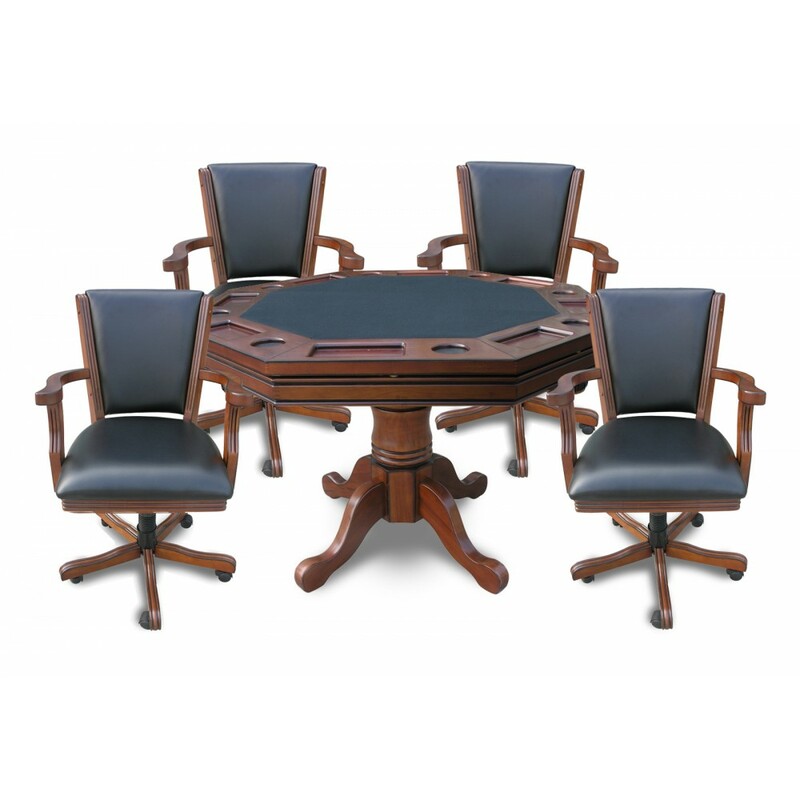 With a full 48-in diameter table top, you can fit up to 8 people for a friendly poker game, board game, or a relaxing dinner. 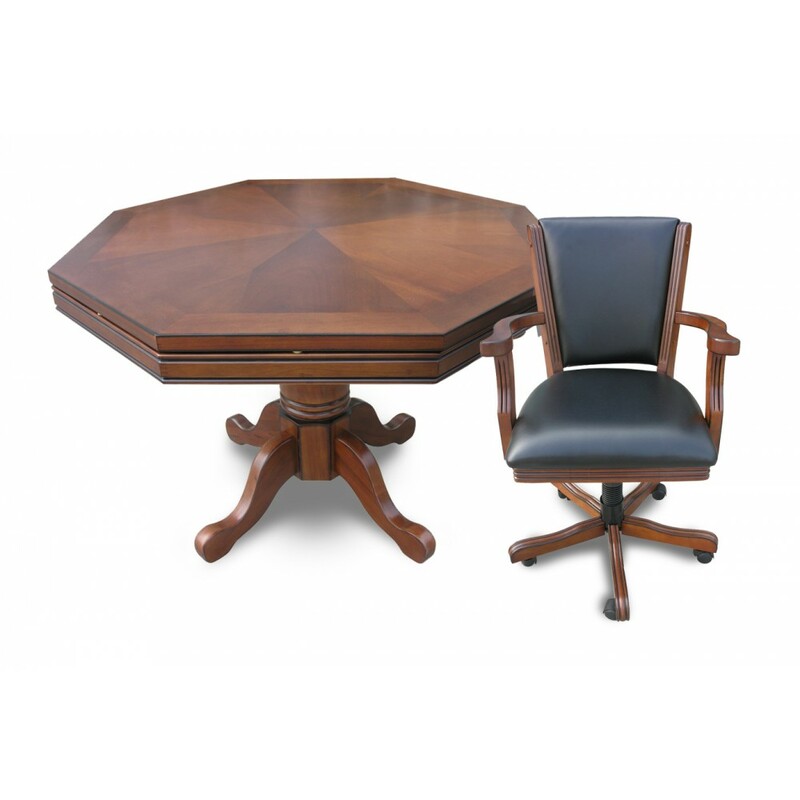 This set includes four 19-in wide arm chairs constructed of durable Beech hardwood. 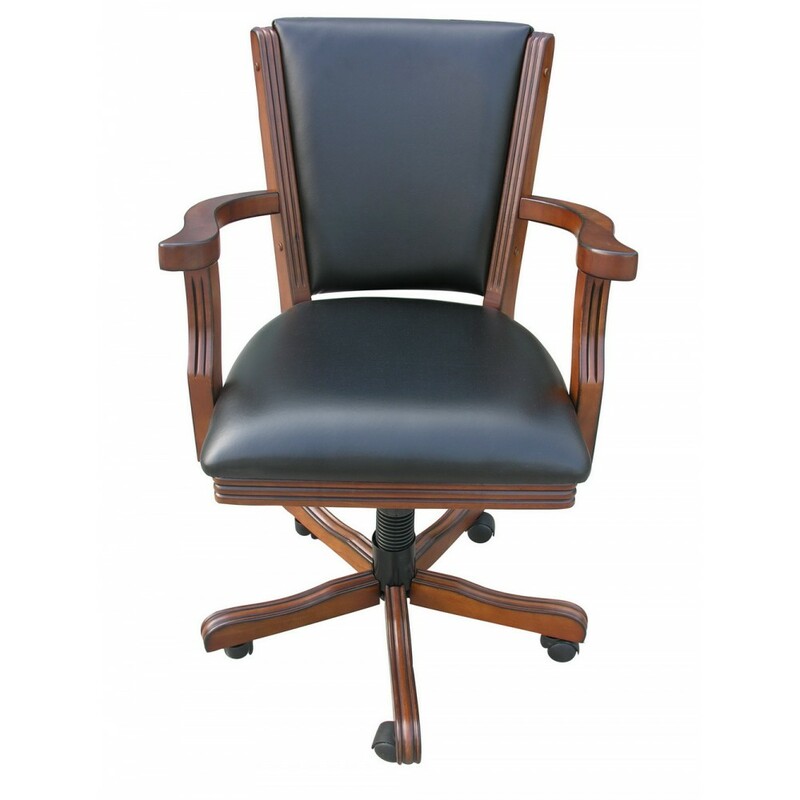 Featuring synthetic black leather, padded seat and back, and a gas tilt and swivel mechanism, these chairs will provide comfort and class and are easy to keep clean. 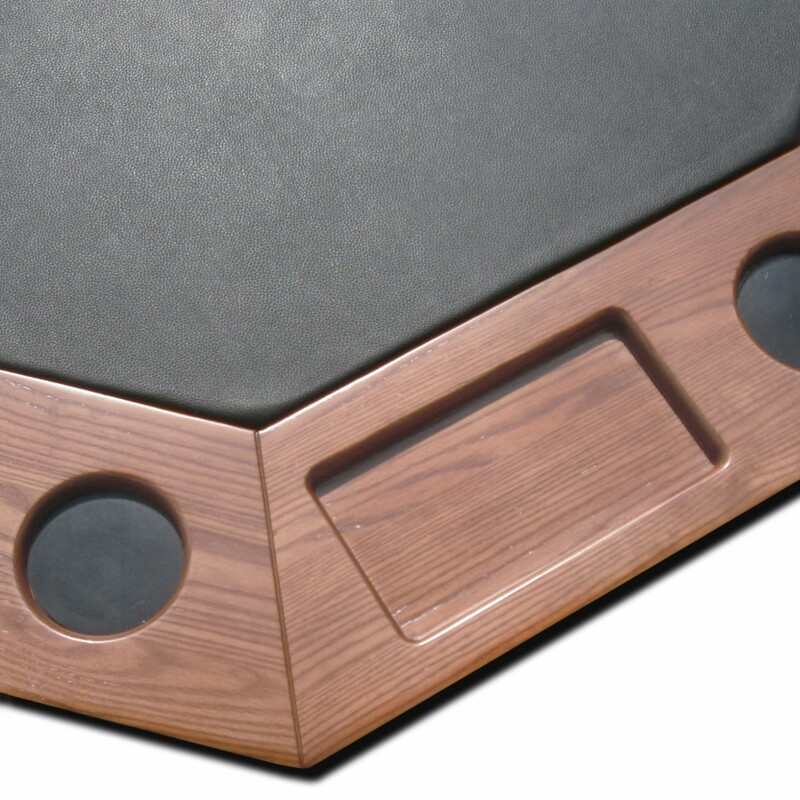 The poker table top features a plush, padded, easy-to-clean leather like black playing surface. Rubber lined cup holders protect the wood furniture finish. 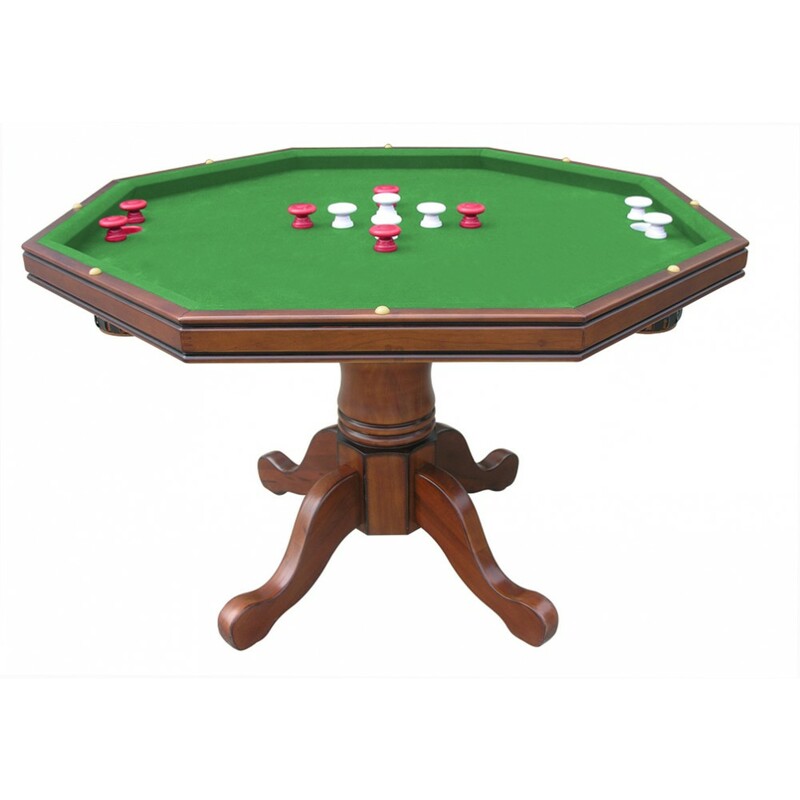 The bumper pool table includes a full set of bumper pool balls, 2 pool cues, chalk and a table brush. 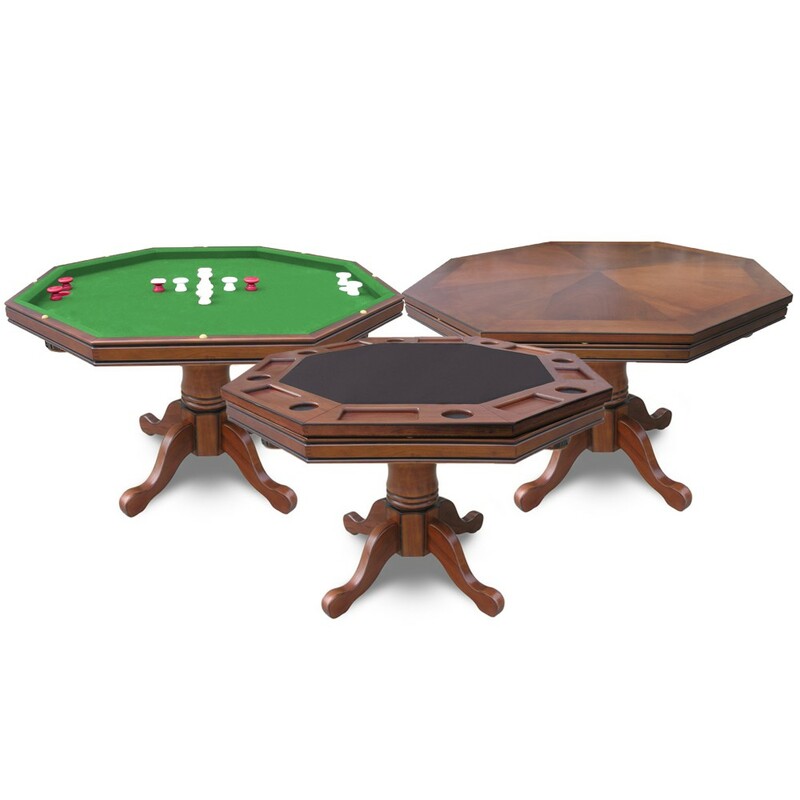 With a premium green billiard cloth, bumpers and a high quality furniture finish, this classic game table will provide endless hours of entertainment. 180-day limited warranty.